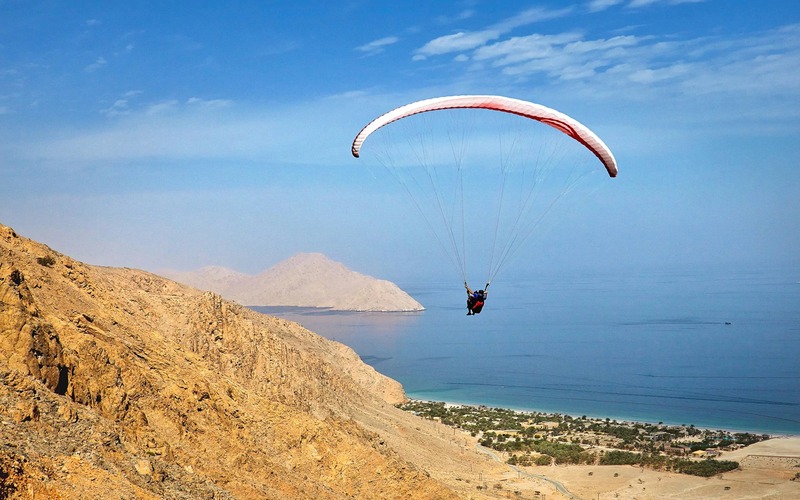 Care to paraglide to your luxury hotel, sir? Speedboat, madam? 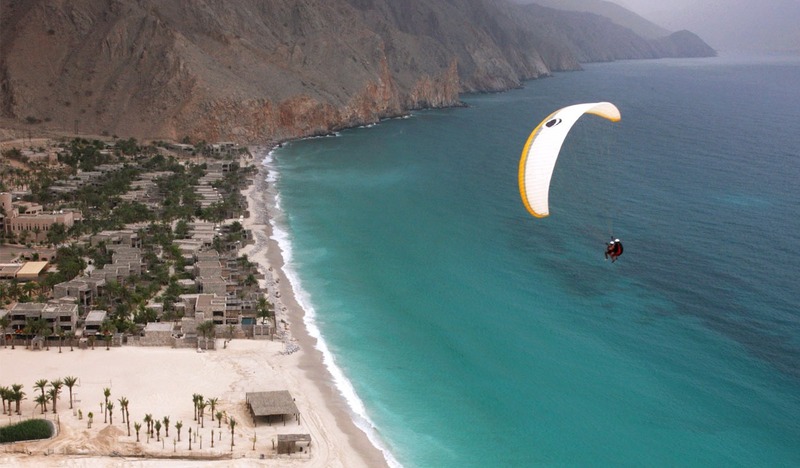 Oman and opulence go together like balmy Arabian nights and your own private butler. To prove it may we present Zighy Bay. 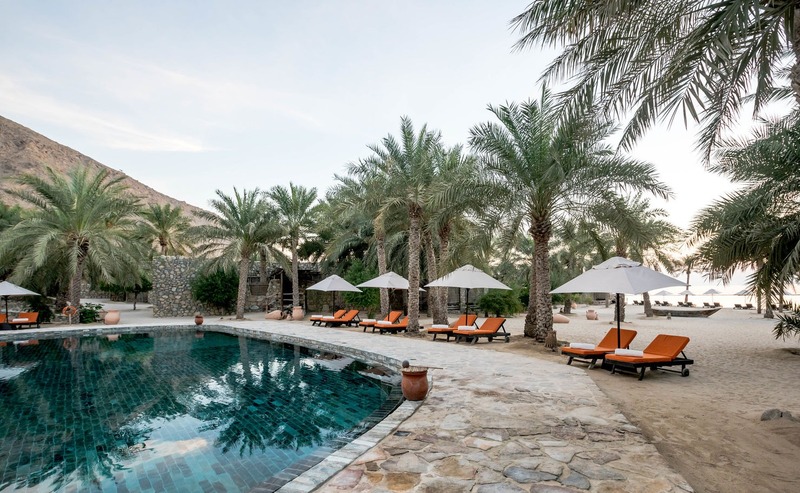 No that isn't the name of your reggae enthusiast Butler, it's the setting for Six Senses Hideaway, an impossibly idyllic resort hidden in the Gulf of Oman. The proprietors of Six Senses have created an off-the-beaten-track environment where you can scuba dive the turquoise waters to caves and wrecks, meditate at sunrise on sun-bleached cliffs, wander barefoot through date palms oasis and smoke shisha under the stars to the lilting sound of Arabic guitar. They also throw in some absurd luxuries, so you don't feel that you're roughing it, including your own private wine cellar, spa and infinity pool. Fit for an Arabian prince. Incredibly, the seclusion of the Musandam Peninsula is only a short journey from vibrant souks, Bedouin camps, striking Mosques and Museums. That's all very well in theory but try tearing yourself away from your private crescent of white sand to go see them! As you might have realised by now, this Omani escape is all about the private luxuries, so if for some reason you find yourself twiddling your thumbs looking for something else suitably private and luxurious to do, go for an overnight cruise in a private dhow. Sleep on the lagoon and wake to the sun rising over the mountains with a champagne breakfast, in private if you so desire sir! Why arrive by car when you can drop in like The Man from Milk Tray on an all expense paid honeymoon? Bask in authentic Middle Eastern culture and hospitality. There’s a menu for your personal duvet and pillow selection- a MENU for your duvet and pillow selection!